This lady still walks over Exmoor at the ripe age of 80. That was the starting theme for this unusual cake, incorporating her other interests and hobbies. 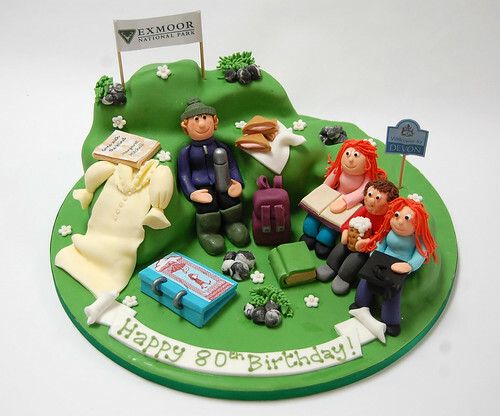 The Exmoor Walking Cake – from £100.